New versions are accessible on a site of support of the project and can be downloaded the program or foreign means. Detection of updates is carried out automatically at start of the program and presence of access to the Internet (this behaviour can be changed). If on a project site fresher version of the program, after start is accessible, in a line of the status there will be a message on presence of updates. If automatic check is disconnected, it can be executed manually, having caused a command of the menu "Help" - "Check for updates...". The result of check contains number of last version of the program, the size of a file and full internet address of a file of updates (URL). This address can be used for download third-party tools (Browser or the Download manager). 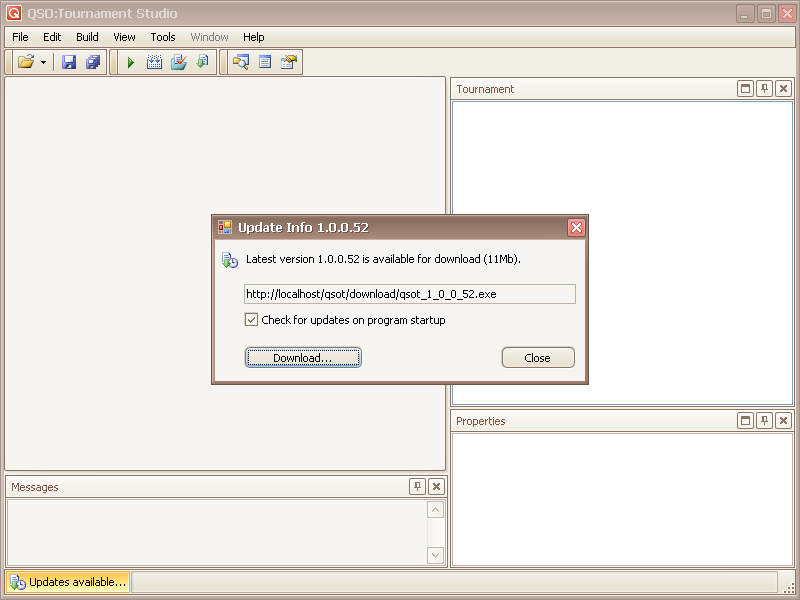 The program can download a file independently, for this purpose it is necessary to click by the button "Download...". 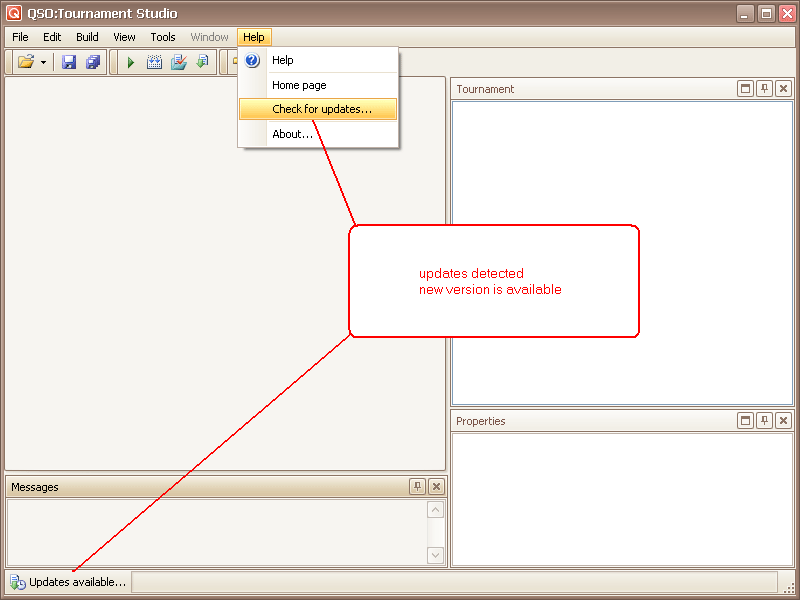 Checkbox "Check for updates on program startup" defines the specified check automatically will-whether be carried out. If the flag is removed, check at start is not made. 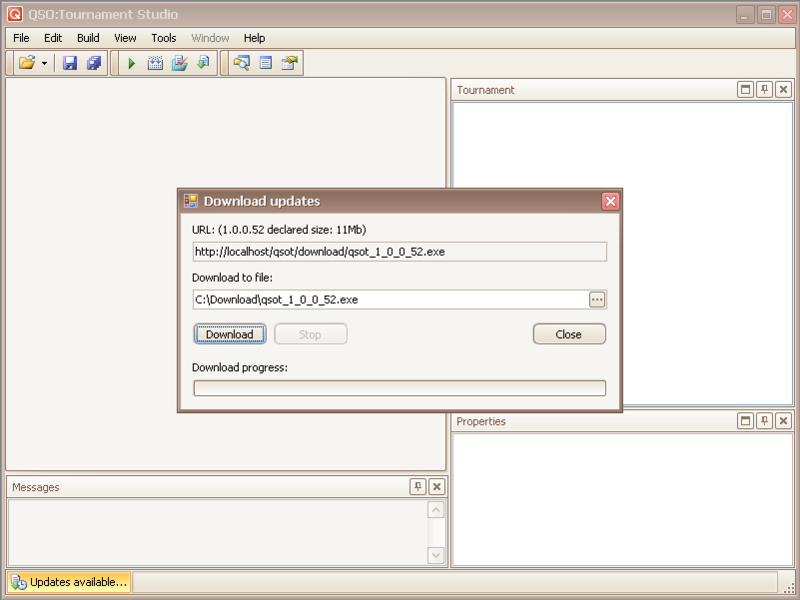 The program contains own download manager, allowing to download a setup file the new version entirely or parts (continuous download is supported). It is necessary to specify a folder and a full name of a kept file. This way will be used for downloading of updates further. For a folder choice it is possible to take advantage of the button "..." entry fields of a name of a file. Button "Download" begins file loading. Button "Stop" allows to suspend loading. At renewal (button "Download") loading will be continued from that place on which it has been stopped (it can be made and in other session with the program). The loading course is displayed by the progress indicator. After loading end, the setup file is in the folder specified earlier. The program will suggest to finish a current session and to start performance install the new version. If to click by button "Yes", the program will be closed and updating installation will be started. 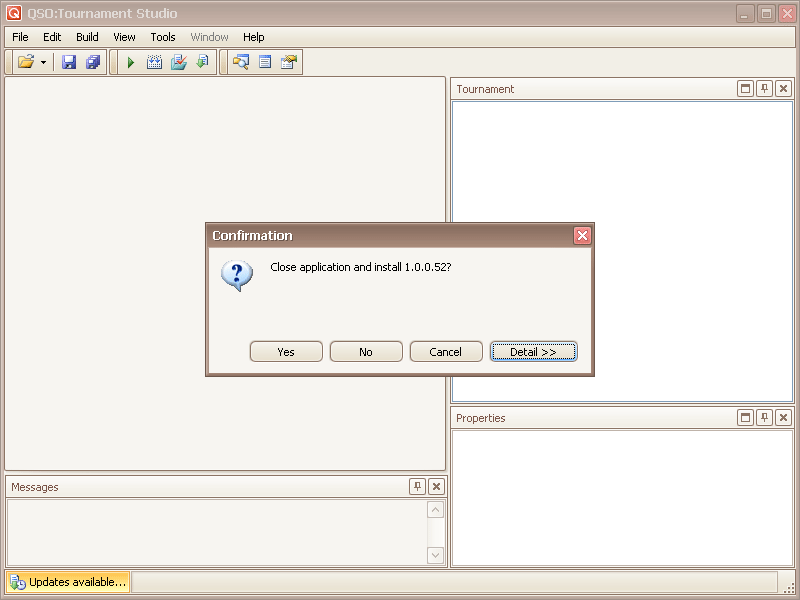 It is possible to refuse installation and to continue work with the program, in this case installation of the new version can be executed later. 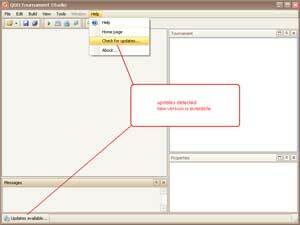 It is necessary to close the program prior to the beginning of installation of the new version.